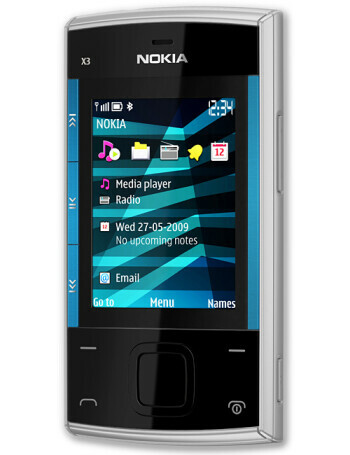 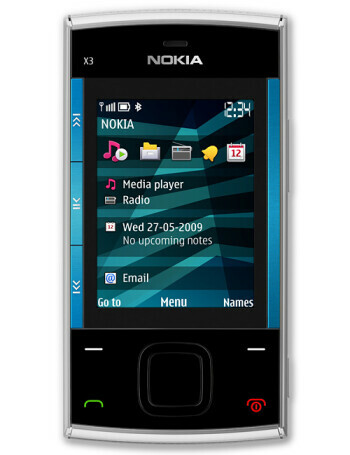 The Nokia X3 is a Series 40-based slider handset and the first such device to come with Ovi Store support. 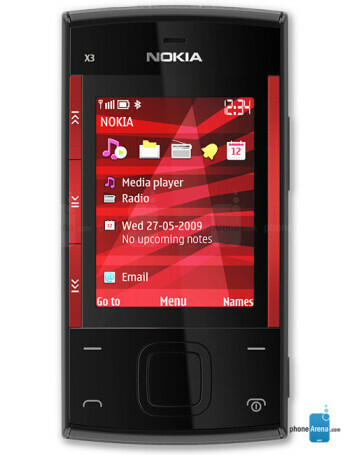 It closely resembles the 5530 XpressMusic and features dedicated music controls next to its 2.2-inch screen. 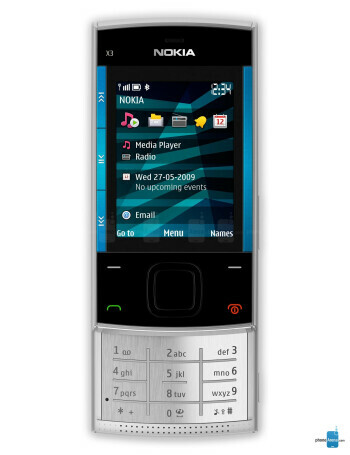 The other specs include 3.2-megapixel camera, microSD slot that supports expansion cards with capacity of up to 16GB, Bluetooth 2.1 and 3.5mm jack.